Art helps to enlarge people's perspective, which this shot of a recent bridge deck pour for the South Mountain Freeway is definitely doing. This early morning shot gives some scale of the recent work that went into completing the two 2,700-foot long bridges crossing the Salt River. 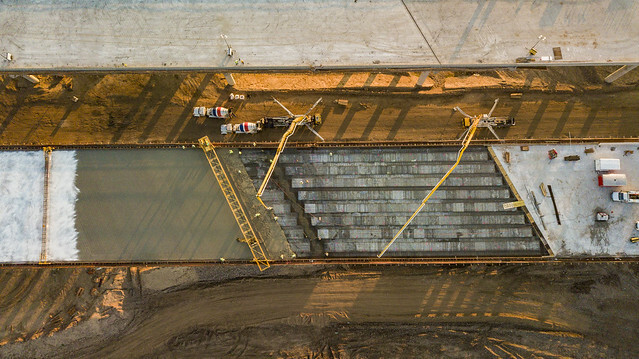 Crews finished building the concrete decks for the bridges last week.